'Coz look how far we've come! Then I'm sure you would have won. I'm daddy's little princess, daddy's little girl! Because I'm daddy's little princess, the center of your world! And prove that I'm not wrong? And have a happy father's day! And you've shown me that any dream can come true. Maybe dad stands for "dad always drives." You've put up with mood swings and heartbreaks. You've shaped my values and world view. Have ups and downs - both lows and highs. You've shared my joys and soothed my cries. You've lived as my shining example to follow. You're often my source of solutions to heed. There's no greater love than they have for their child. It's Father's Day, I'm sure you knew. It's likely you'll get very mad. And think that you're a nice soft touch. And you'll reply, "You've got enough!" You'll turn the volume up, and give a snort. Help me with what I need. When you're old with dentures too. Then I'll walk slow so we can talk. I'll bring you breakfast in your bed. So have a Happy Father's Day! 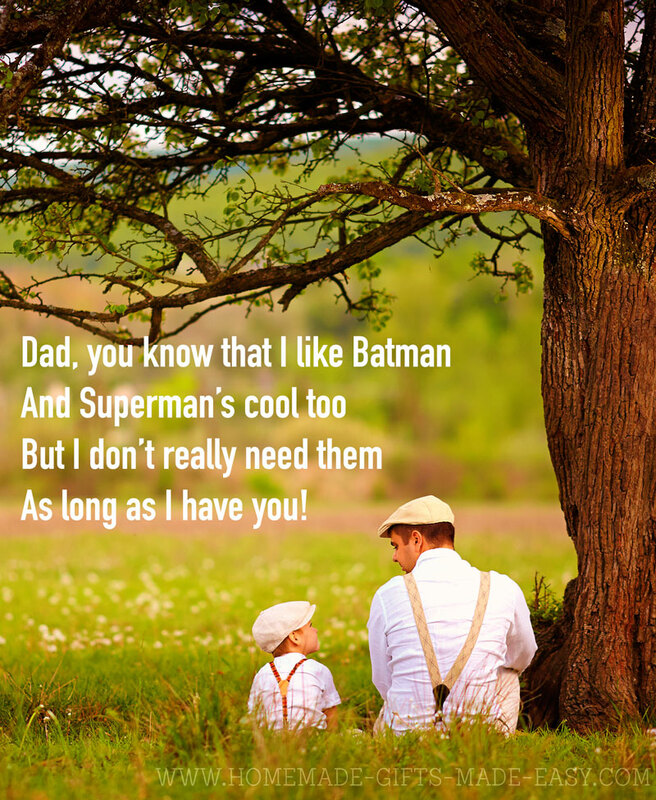 Father's day poems are a brilliant way to express what your dad means to you, and is a personalized gift made just for him. 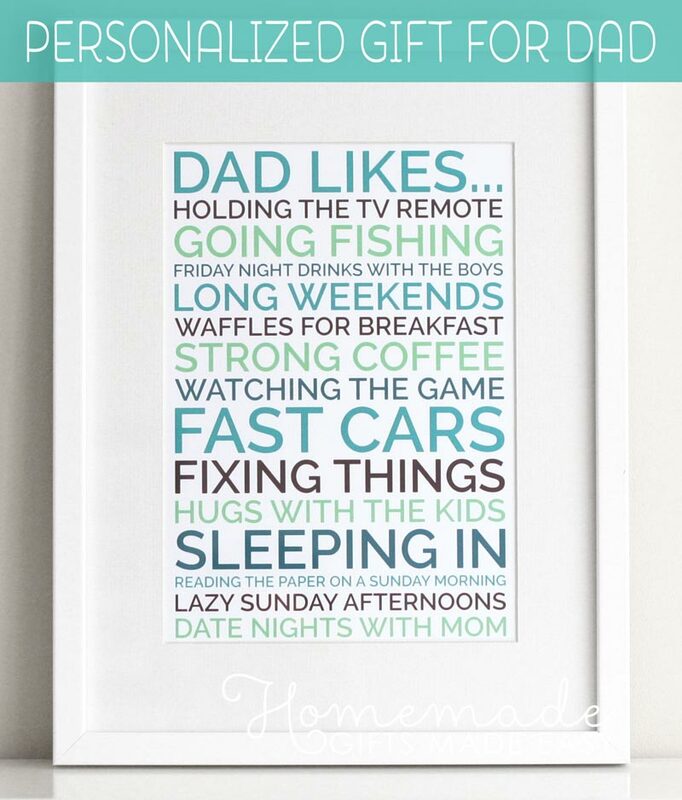 This personalized father's day poster celebrates all the funny things about your dad and the things that he likes. It's a great last minute father's day gift idea, and one that will make him feel special!